Well I have stitched 2 more patterns. My favorite is Luffy!! 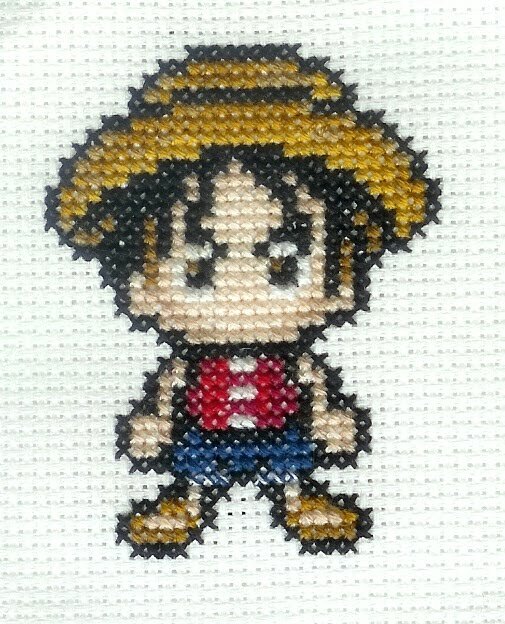 He turned out perfectly!! I have future plans to stitch Zorro in the near future! Hi. I've been following your blog for awhile now. I love your little cross stitch sprites! 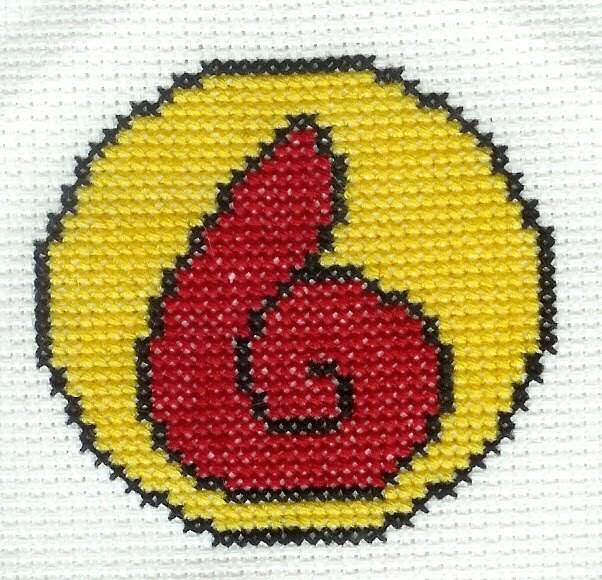 I've done the mokona one. I was wondering though do you take suggestions for new ones?